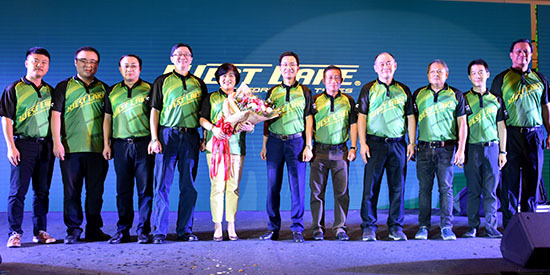 ZC Rubber’s dealers and partners in Thailand gathered at Bangkok on Jan. 28 for the distributor conference with the main topic “More Progress More Achievement”, which focus on improving the market share in local tire market. It is also the first dealer meeting of ZC Rubber in the New Year. Ge Guorong, vice president of ZC Rubber, shared the great achievement in the 2017 that the company’s sales revenue was up for 2017, by about 22%. Furthermore, ZC Rubber expands production capacity for truck & bus radial tires by 13.6% to 17.2million units a year and also increases 20.7% to 32.5 million units of the capacity of passenger car & light truck tires, and two-wheel tires in 2017 increases 14.6% to 94.1 million tires. “Our sales of TBR in 2017 hit a historic record ranking as one of the top global manufacturers and the 32.5 million PLT sales includes 11 million pcs China sales that ranking as No. 1 in China. It is great result for us with the effort of all members of ZC family. Thank you for your support & contribution in 2017.” Ge Guorong said to the coming dealers. He also introduced the Thailand factory plays an important role on the global market expansion with 4.4 million PLT and 1.4 million TBR, especially greatly improve the market share in Thailand. In the coming year, ZC Thailand will continue to expand the product lines as well as the capacity for the global customers. For the development of two-wheel tire, ZC Rubber’ bike business revenue increases to over 30 million US Dollars and newly developed SOT tires are accepted by Mobike and OFO, two of the most popular bicycle sharing companies in China. At present, Mobike already enters in Thailand and the local people can enjoy the bikes conveniently. 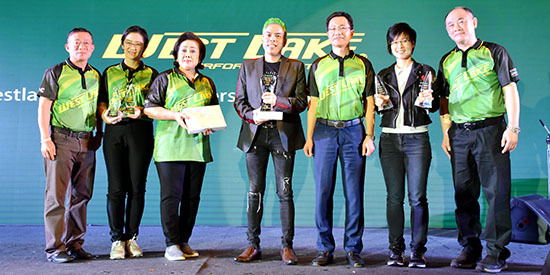 Furthermore, ZC Thailand ’motorcycle production starts by the end of 2017 to meet the demands of the Asian markets. ZC Rubber will also support the operation of Auto Space project, including consumer flagship store and commercial flagship store. 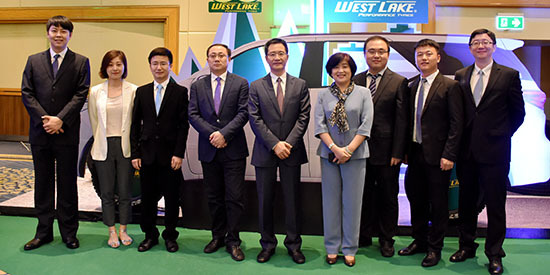 Now more than ten thousand of the stores have opened in mainland China and in Thailand, two Auto Space stores covering Goodride and Westlake opened last year. “Expansion of the Auto Space targets ‘Bring Happiness for Stores & Consumers’ and means the improvement of service from tire manufacturer. ZC Rubber’s Auto Space devotes to be the professional, reliable, vigorous express service provider to perfect the service for local customers.” Ge Guorong said.